Larycia Hawkins, tenured associate professor of political science at Wheaton College in Illinois, has taught at Wheaton since 2007, but, through her recent comments about Islam, has created a firestorm at this evangelical college. Through her public statements and her posts on Facebook and Twitter, she has declared ?I stand in human solidarity with my Muslim neighbor,? ?I stand in religious solidarity with Muslims because they, like me, a Christian, are people of the book,? and an assertion that Muslims and Christians ?worship the same God.? She made these declarations as a part of her explanation as to why she was pledging to wear a hijab (i.e., a veil that covers the head and chest) during Advent in support of her Muslim neighbors. In December, Wheaton suspended her and placed her on administrative leave because her ?theological statements seemed inconsistent with Wheaton College?s doctrinal convictions.? The College explained that ?While Islam and Christianity are both monotheistic, we believe there are fundamental differences between the two faiths, including what they teach about God?s revelation to humanity, the nature of God, the path to salvation, and the life of prayer.? During the weeks leading up to Christmas and into early January, both Hawkins and Wheaton struggled to clarify their respective positions. Finally, Wheaton made the decision to initiate the process of terminating both the tenure and the employment of Hawkins. Over the last several years, Hawkins has been asked by Wheaton to affirm her agreement with the Wheaton doctrinal statement. These requests for affirmation of Wheaton?s doctrinal statement stemmed from an academic paper Hawkins wrote on black liberation theology, her involvement in a Gay Pride parade in Chicago and her suggestion that Wheaton change its language about sexuality. As of this writing, the situation at Wheaton remains volatile and divisive. Hawkins now refuses to meet with the Wheaton administration and the Wheaton administration clearly sees this case as a matter of the theological integrity of the college. The Larycia Hawkins situation at Wheaton is complicated and will no doubt eventually involve messy litigation. But it raises a much more profound question: Is the God of Islam, the God of the Bible? Do Muslims worship the same God as Christians? The Muslim concept of God is summed up in the name ?Allah.? A critical point for Islamic doctrine is the stress on Allah?s unity of being. This dominates the Muslim?s thinking about God, and is expressed in the phrase, ?There is no God but Allah.? He is absolutely unique and inconceivable. An Islamic proverb says, ?Whatever your mind may think of, God is not that!? A constant phrase repeated in Muslim prayers is ?Allah akbar? (?God is great?). God is far greater than any thought humans can have of him. Allah is so great that he can do what he likes, even break his own laws. In Islam, Allah has decreed all that will occur. He is the creator of all that is in heaven and on earth. His knowledge is perfect; his will is beyond challenge; and his power is irresistible. All these attributes–omniscience, sovereignty and omnipotence–are evident in his creation. Many pious Muslims carry a rosary that has 99 beads, each one representing one of Allah?s names. The one-hundredth is unknown to humans, known, legend has it, only to the camel. Allah?s might and majesty are tempered with justice. He rewards and punishes, yet he is merciful, a guardian of his servants, defender of the orphan, guide of the wrong-doer, liberator from pain, friend of the poor, and ready-to-forgive master (Qur?an, 11:52). Allah resides in the seventh heaven, far removed from his creation. He is unknowable but he has chosen to make himself known through the holy books and through his prophets. These books include the Old and New Testaments, and the prophets include the prophets of the Old Testament and Jesus. The Holy Books: Muslims maintain that Allah handed down 104 books, and of these only four are most important. They believe that the Law was given to Moses; that the Psalms were given to David; that the Gospels were given to Jesus; and that the Qur?an was given to Muhammad. Muhammad made no claim that his teaching invalidated the Jewish and Christian scriptures, rather he instructed both Christians and Jews to follow their respective teachings (5:72.73), and commanded Muslims to believe in and obey the Law and the Psalms (3:78). He taught that the Gospels were sent to confirm and safeguard the Law, which served as guidance and light to those who fear Allah (5:48). The Qur?an safeguards both the Law and the Gospels (5:52). The Prophets: Muslims believe that Allah sent 124,000 prophets and apostles, but that the three greatest prophets were Moses, Jesus and Muhammad. Muhammad, the Qur?an teaches, is the last and the greatest prophet, for he proclaimed the Allah?s final revelation. The heart of his message was one of morality, a call to righteousness. That meant abandoning the polytheism and paganism of his day and submitting totally to the will of Allah. His message, however, also involved community. Islam would create a new fellowship based on loyalty to Allah and to one another. The old loyalties to clan, tribe, nation and state would be set aside for loyalty to Allah. For that reason, even today, Muslims of all clans, tribes and nations gather in Mecca. Islam refuses to separate church and state and Islamic judges always respect the consensus of the community. Islam vehemently rejects the biblical teaching that God is Trinity. It therefore adamantly rejects the proposition that Jesus is the Son of God, the Godman, who died a substitutionary death on Calvary?s cross. Indeed, when the Umayyad Caliph, Abd al-Malik (685-705), built the Dome of the Rock, it was the center of his plan to reshape Jerusalem as a Muslim Holy City. (Temple Mount is called the Haram al-Sharif, or ?Noble Sanctuary,? by Muslims.) 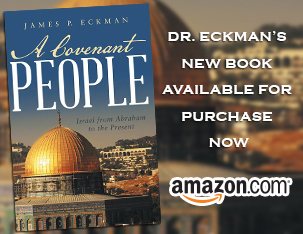 That the Dome of the Rock is higher in elevation than the Church of the Holy Sepulchere challenged the Christian dominance of Jerusalem. Additional evidence points to the intentionality of al-Malik to build a structure indicating Islam?s triumph over Christianity and Judaism: Over the eastern and southern gates of the Dome are two inscriptions: ?The Unity of God and the Prophecy of Muhammad are true? and ?The Sonship of Jesus and the trinity are false.? Inside the Dome are inscriptions declaring, ?The Messiah Jesus, son of Mary, is indeed a messenger of God;? ?So believe in God and all the messengers, and stop talking about a Trinity, Cease in your own best interests!;? and ?It is not fitting that God should beget or father a child.? So, the god of Islam is not the God of the Bible. Christians worship the triune God?Father, Son and Spirit. John 14:6, Acts 4:12 and Romans 10:9, among many other Scriptures, with crystal-clear clarity, declare that belief in Jesus alone brings salvation. Jesus is not only a prophet; He is the Godman who is also the Sovereign Lord (see Colossians 1:15-20 and John 1:1-18). As theologian Albert Mohler affirms: ?One cannot deny the Son and truly worship the Father. There is no question that the Muslim is our neighbor, but there is no way to remain faithful to Scripture and the gospel and then claim that Christians and Muslims worship the same God. ?